Click on the image to download the larger image file. 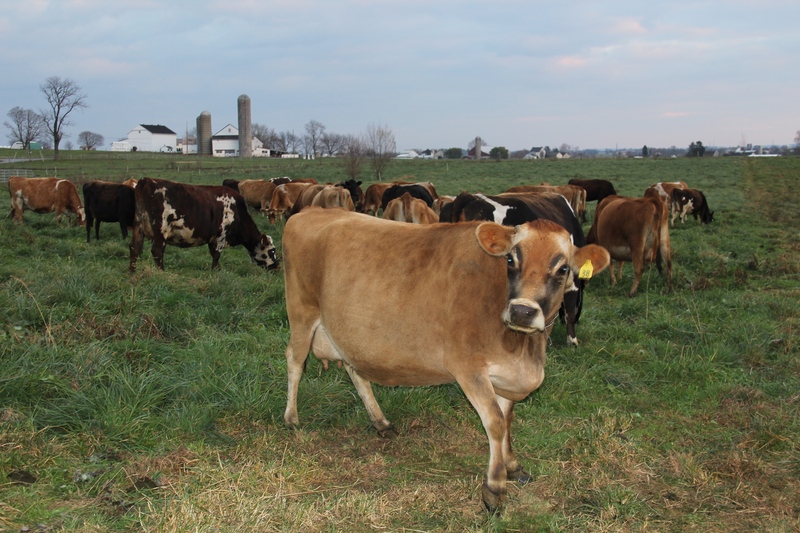 Jersey Cows on an Amish farm. 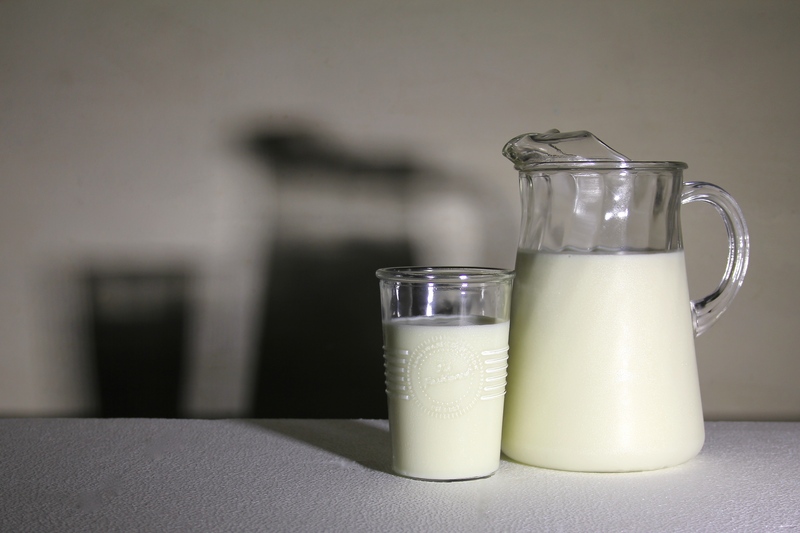 Their milk is popular with some consumers because it is extra creamy. 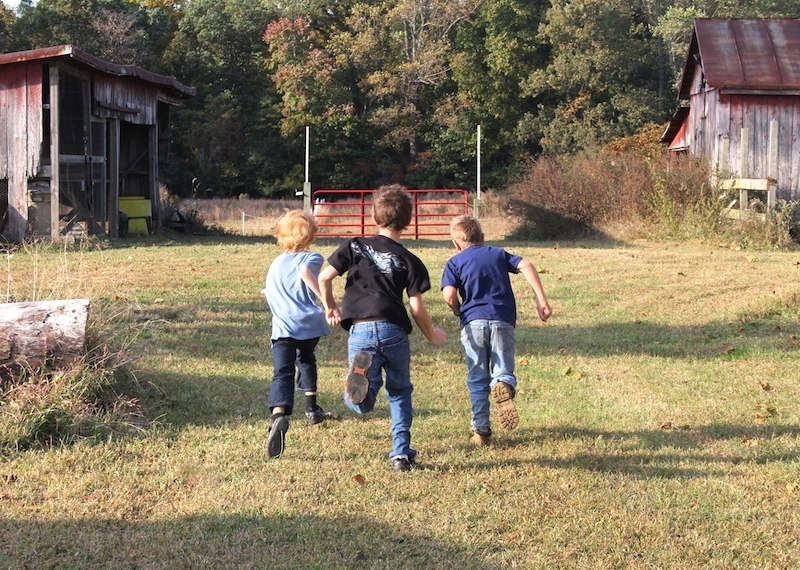 Three boys playing on a dairy farm. 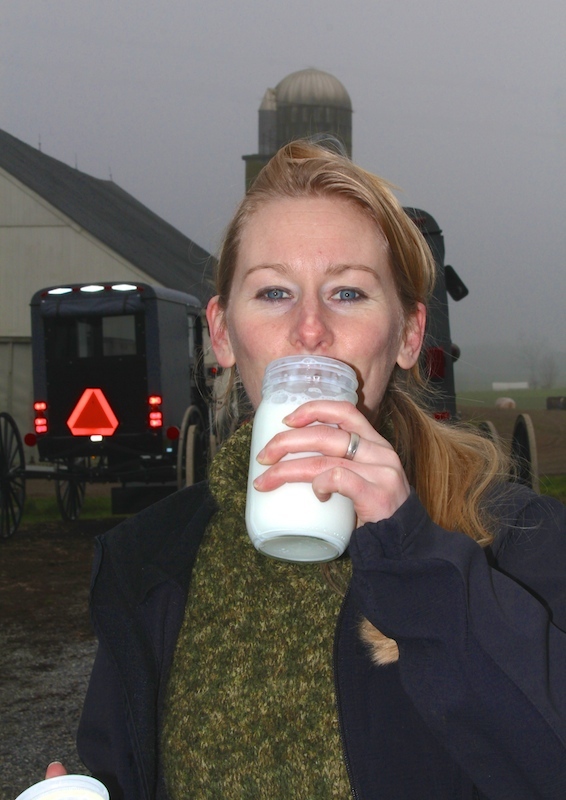 Liz Reitzig drinking raw milk with Amish buggy behind her. 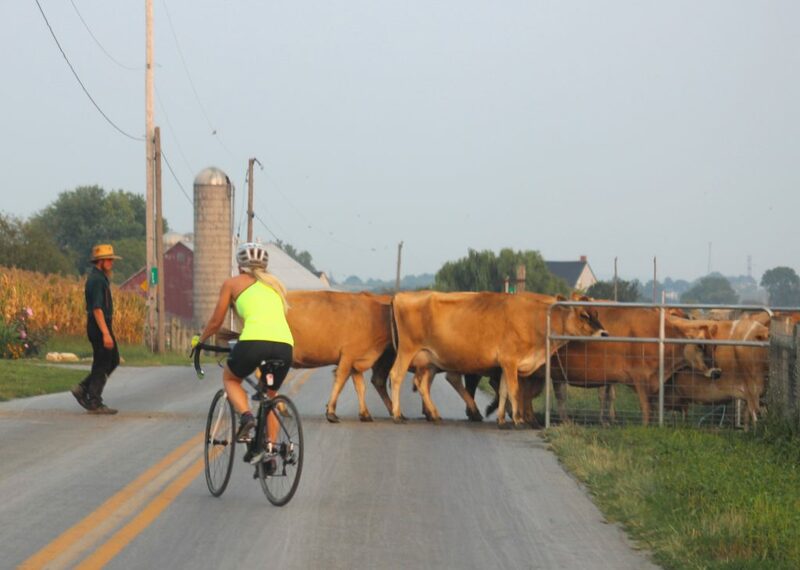 Cyclist and Amish Farmer at Milking Time. 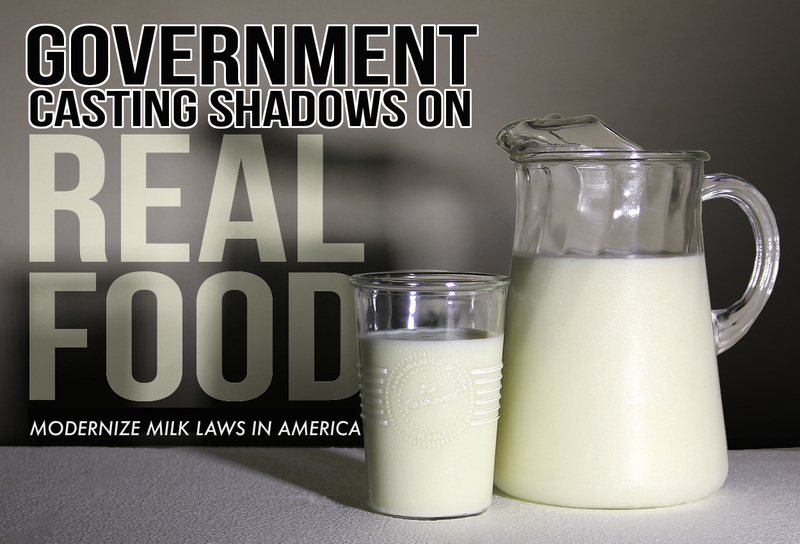 Farm fresh milk is a preferred beverage for a new generation of Americans. 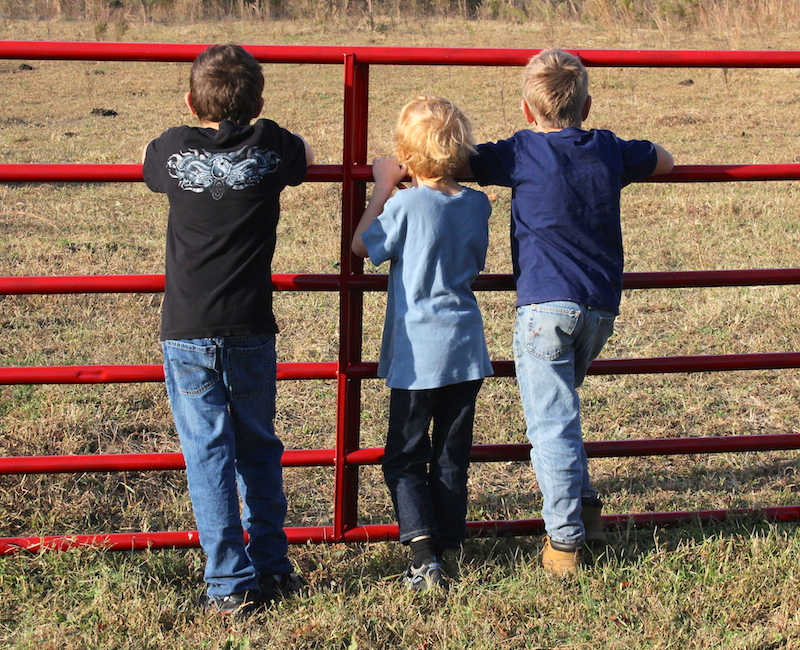 Children visiting a dairy farm are looking for the cows. 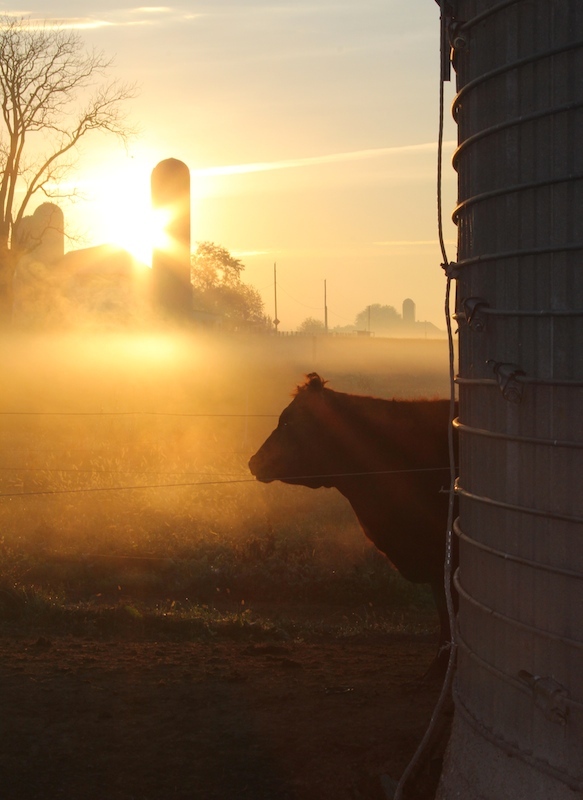 Cow greets the sunrise on an Amish Farm.